Kenneth Fearing (1902-61), modernist novelist and proletariat poet, was driven by a strong social conscience. 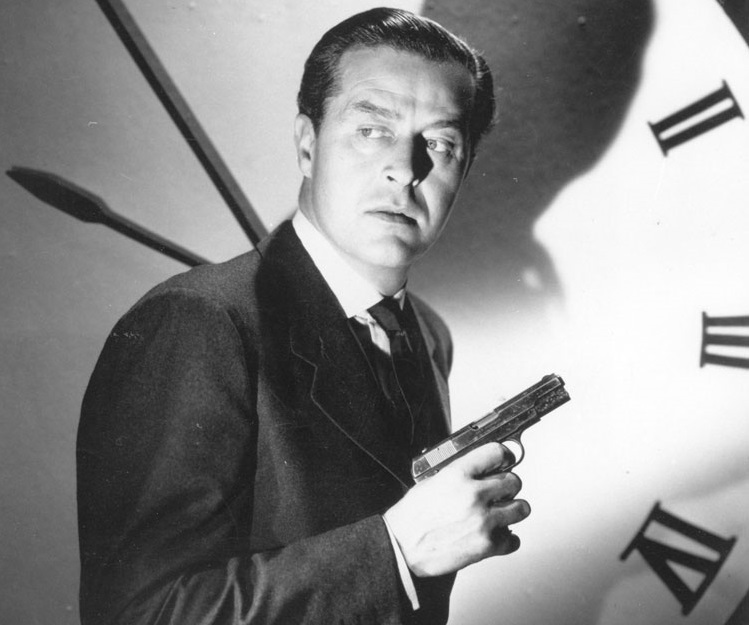 When subpoenaed in the 1950s and asked if he was a Communist, he replied, rather splendidly, “Not yet.” Of his seven crime novels, The Big Clock remains the most famous, smartly merging a strong suspense plot with his progressive agenda together with a biting social critique as our anti-hero gets squeezed almost beyond endurance. I offer this book & film review as part of Bev’s 2013 Vintage Mystery Challenge in the ‘Size Matters’ category; the 2013 Book to Movie Challenge at the Doing Dewey blog – for review links, click here. Fearing supported his main work as a poet by producing pulp fiction (under various guises, including as by ‘Kirk Wolff’) as well as the crime novels under his own name for which he is known best today. The Big Clock was his greatest hit and sold immediately to the movies, becoming the fine film noir of the same title released in 1948 (see below). As with all his novels it uses several first person narrators, though the voice that predominates here is that of George Stroud, its highly flawed central protagonist who has to fight his way out of a web partly of his own devising. Stroud is the editor of Crimeways, a magazine published by the Janoth publishing empire located in a towering New York skyscraper. He is the Everyman of this story, a fact emphasised by naming his wife Georgette and their daughter Georgia. They are trying for another baby, which doubtless would be a George Jr. This is not to say that he is colourless but Fearing just means that he is no hero, just one of us. Indeed George is not exactly admirable – smart and with good taste in fine art (his love of the paintings of minor artist Louise Patterson proves crucial to the story), he is also a heavy drinker and a serial philanderer, keeping a room in the city for his affairs while telling his wife that he is working late. Janoth is having problems with his board and returns from Washington to visit Pauline in a bad mood, just as Stroud is leaving her, though he doesn’t recognise the man in the shadows. The two get into a jealous row – it emerges that she is bisexual and when he reminds of her of a past indiscretion with a girlfriend, she retaliates by suggesting that he is having an affair with Steve Hagen, his clearly gay deputy. Janoth snaps and clubs her to death. When he finds some composure, Janoth goes to see Steve, who convinces him not to give up and instead try to pin the crime on the unknown man he saw leaving her apartment. So they turn to Stroud, their expert on missing persons, to head up the manhunt, unaware of course that he is the man they want. The forthright depiction of some of the characters’ sexual orientation is pretty startling for the time, as is some of the strong language used throughout. This is all very welcome in the name of modernism and plausibility, though one might fairly question the fact that the villain and victim are the sexual outsiders – but the fact is that Stroud is no hero either and Julian Symons is thus surely right when he characterises him as being “technically innocent but morally null.” Stroud realises that Janoth must be guilty of the crime and that he and Hagen are trying to cover it up by either blaming her mysterious lover or, more likely, kill the only person who witnessed Janoth’s presence at her flat that night. Thus we reach the crux of the story as Stroud has to seen to employ all the resources being given to him but still find a way to get out of it without incriminating himself. Things get complicated when the artist Louise Patterson, whom he met at a gallery with Pauline the night of her death, is found and offers to identify the man who bought one of her pictures – he even has another one of hers hanging on his office wall and starts to worry about when somebody will notice that the profile of the unknown man who is being built up describes him very closely. The book has been adapted for the cinema three times. The first and most faithful was the film of the same title, a little gem by the team of director John Farrow and writer Jonathan Latimer (which I profiled here) and released in 1948. It boasts a terrific cast that is superbly suited to its role, most notably Ray Milland as Stroud as he was so often at his best as anti-heroes with a roving eye; Charles Laughton is simply perfect as the slightly campy Janoth, here made into a man truly obsessed with the minutiae of time, adding an extra layer to the story. The movie is narrated solely by Stroud and told in flashback with him literally trapped inside the huge clock that dominates the inside of the Janoth building – after an elegant shot sweeping us through the Janoth building late at night, we then go back 36 hours to see how he ended up on the run. Elsa Lanchester (who was Laughton’s real-life wife of course) is superb as the eccentric painter and George Macready is predictably but still well-chosen to play the ice-cold Hagen. Henry Jones, usually known for his warmth and bluster (as when he played the Captain in MASH on TV), is great as Janoth’s silent henchman and makes for a surprisingly menacing figure. 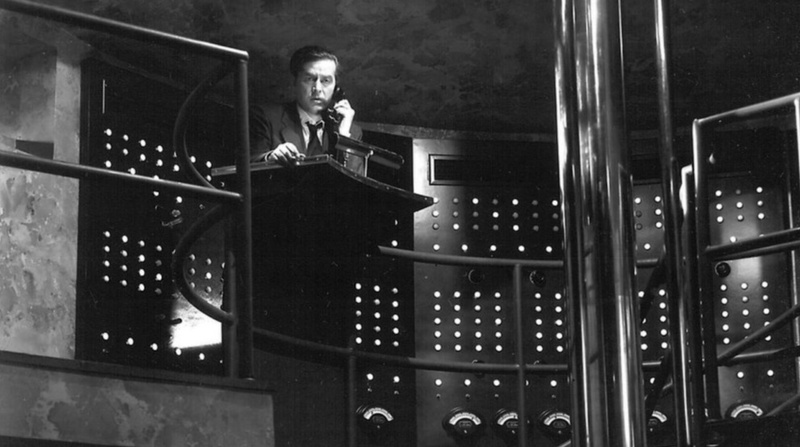 While the film inevitably soften some aspects of the novel it also makes the plot tighter by having Pauline actively seek out Stroud to get back at Janoth, while the Noir atmosphere inside the building is beautifully realised by cinematographer John F. Seitz using wide angle lenses and high contrast lighting to give additional depth. The crucial sense of time and the build-up of suspense is well caught by the use of extremely long-takes which, outside of Orson Welles, was pretty unusual in thrillers of the time but here works very well indeed to wring as much drama as possible from its ticking clock scenario but making nearly all scenes play out in real-time without cuts. The adaptation is basically very faithful right up to and including the end, though the climax is made a bit more dynamic, while providing the equivalent of the thud of the book’s closing lines. This is hardly an unknown or forgotten film and may be better-known than the book – both are very impressive examples of titles in their respective fields and you should seek both out if you don’t have them. For a more detailed analysis of the movie, see what Colin has to say about it on his fine blog, Riding the High Country as well as Tim over at Film Noir of the Week and Derek D for MovieShrink. Mark Halliday also has some very cogent things to say about Fearing’s poetry in the Michigan Quarterly Review. For a good overview of Fearing’s career see the impressive range of materials compiled by Cary Nelson at Modern American Poetry; for a slightly more compact look at his work (albeit with some major spoilers), see the entry at the Poetry Foundation (www.poetryfoundation.org/). The book was loosely adapted into the Kevin Costner spy movie No Way Out, transplanting the setting to the Pentagon with surprisingly good results (I reviewed it here). The most oblique and little-known adaptation remains Police Python 357, a 1976 French film starring Yves Montand, Stefania Sandrelli and Simone Signoret – a review of this adaptation will follow shortly. 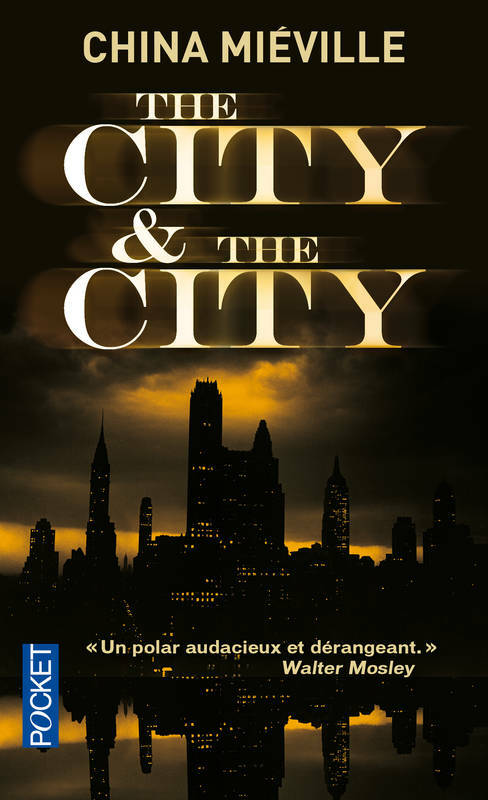 DVD Availability: Paramount released this title early on in the days of DVD as part of its Film noir series – the transfer is OK if a little murky. Sadly there are no extras. This entry was posted in 2013 Book to Movie Challenge, 2013 Vintage Mystery Challenge, Film Noir, Five Star review, Friday's Forgotten Book, John Farrow, Kenneth Fearing, New York. Bookmark the permalink. Sergio – An excellent review as ever. I’ve always thought Maureen O’Sullivan to be an under-rated actress. And what interesting twists in the novel’s plot. To me, that taut sense of timing (seriously, no pun intended) can make a good novel great, and the same is true of the film. Thanks Margot – O’Sullivan certainly had a good career merely playing Jane to Johnny Weissmuller’s Tarzan, not least her apperances from hilms as different as The Thin Man to Woody Allen’s Hannah and Her Sisters opposite her daughter, Mia Farrow. Haven’t seen this movie but have watched the Kevin Costner version. The knock-out punch in the end had me reeling for days altogether. Seriously? They felt betrayed? To each his own, I guess, because for me that was the best part of the movie. Interesting, isn’t it? I guess it was the way it plunged one character suddenly into the unknown that so many disliked – I agree, superb ending to an excellent Cold War thriller! This is VERY high on my to-read list for 2014. It’s a a eally great book kelly – look forward to reading what you think of it! Typically strong piece there Sergio. Firstly, thanks for that link. I do have a copy of Fearing’s novel, which I made a start on a while back, got distracted with other stuff I had to do, and never got back to it – that’s unusual for me as I generally finish a book when I start one. It’s no reflection on the quality of the novel though, just a consequence of trying to fit too many things in and failing miserably. I will get back to it though. It’s more than 5 and a half years since I watched Farrow’s movie, and I wouldn’t mind giving it a spin again. Thanks chum – the movie actually seems to get better and better in my view. I was lucky enough to watch it in a great print at the NFT in London way back in the 90s and Latimer’s witty scripts and Farrow and Seitz’ fluid visuals really knocked me out as did the just fantastically good cast – they really, truly nailed the characters from the book down to a tee – but the book is brief but bloody marvellous, well worth investing the time. Your review of the movie is excellent. I really need to get myself organized as I seem to be leaving tons of stuff half finished and am always just about completing things at the eleventh hour. I actually hate that I started the book and left it – very uncharacteristic! Thinking back on the movie, aside from the classy direction and photography, the casting really couldn’t be bettered, could it? I was re-reading the book, loving it every step of the way, and as much as I like No Way Out, just was so impressed by how good Milland, Laughton, Macready and Lanchester are in terms of suiting the characters – real match made in Noir heaven! I remember you and I discussing No Way Out ages ago and your defense of it. There are good things in that version but I think Costner’s characterization, good enough but quite different to Milland’s take, is kind of dictated by the need to fold it into the final revelation. Yes, I know I was looking for pointers, clues and so on after my initial viewing. Once you know the ending, it colors your view of the build-up. At least that’s how it was for me. I love that movie. No one was better at playing certain parts than Milland. He could nail semi-hysterical men . But I have never read the book and now want to! Thanks Patti – the book is well worth tracking down! Nicely reviewed, Sergio. I liked the way you dissected George Stroud’s character. Looks like there are no real heroes in this mystery, possibly a reflection of similar characterisation in novels and films of that period. I might reach out for the film version before reading the book. Thanks Prashant – very much a postwar novel in its disillusionment, though it is also a cracking thriller! I missed this. Or at least missed commenting, because I remember asking my husband about it. Great post about the book and the movie and I will definitely read the book someday. And I have put The Big Clock on the Netflix queue.